Every now and again you meet someone who is doing amazing things. Here in Buffalo that happens quite a bit! We first told you about Bella’s Bumbas nearly two years ago and what they were and are doing really is amazing. Bella Shorr was born with Spina Bifida and couldn’t get around much. 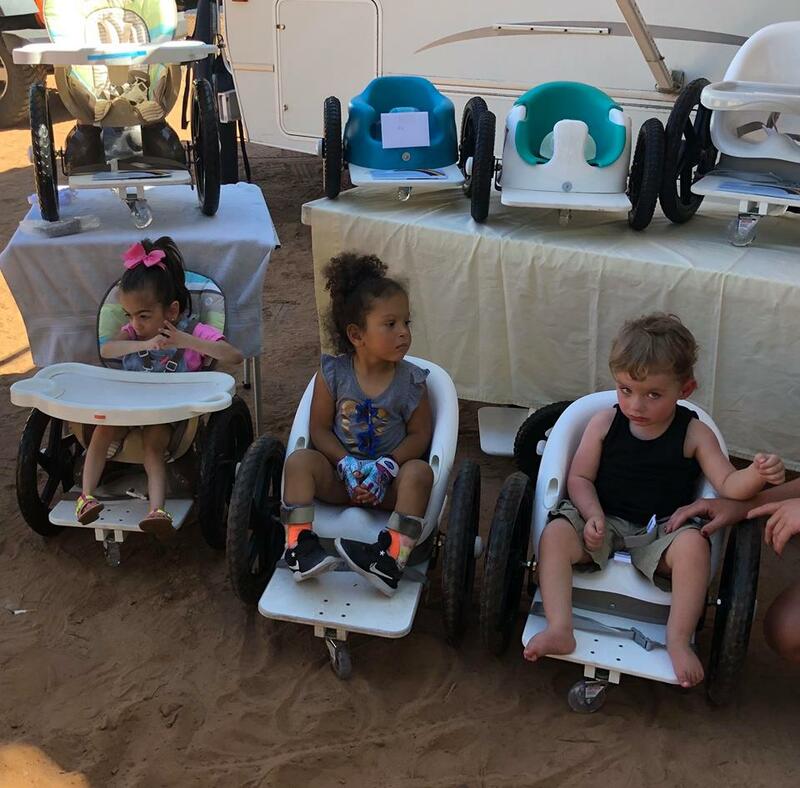 Bella’s aunt and uncle, Rebecca Orr and Marty Parzynski, found instructions to build a wheelchair from a Bumbo seat and stroller wheels. They asked her parents, Jeffrey and Sonya if they could try to make one for Bella. The idea took off … and so did Bella! The specially made chairs bring freedom, hope and joy to children all around the country and world! Yep, chairs have now been shipped to 48 states and 24 countries. This little sweetie in Germany. 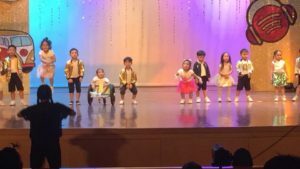 Adrianna in the Philippines – on stage in her chair!!!! Each chair is unique and made specifically for the child! These chairs are geared towards infants and young toddlers who otherwise may not have access to high dollar commercial chairs. 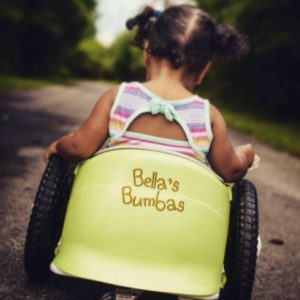 Bella’s Bumbas provide the chairs at no cost to the parents outside of shipping costs (flat rate in the US of $62.40). Each Bumba is handmade by Bella’s Great Uncle Marty with support from the rest of our family and local community. Can you even imagine – they started out with one chair for one sweet little girl and now they’ve made hundreds… they’ve changed lives … they’ve given a gift that really is a game changer. The gift of mobility. It’s amazing. Bella’s family members want to continue their work – but, they can’t do it alone. They need help – and that’s why so many folks are helping by holding fundraisers around the nation. 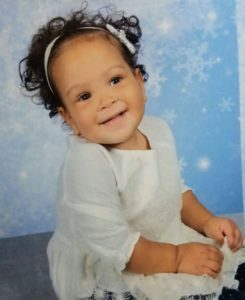 Our friends at Hope Rises here in Buffalo are hosting a fundraiser for this wonderful cause – and you can help! I was introduced to this cause through a friend whose child received a Bumba and I witnessed the incredible result of the wheelchair. It brought healing, joy and HOPE! It’s a perfect cause for Hope Rises to support because each wheelchair is just $150 to sponsor and the wheelchairs that are gifted to families in need are a game changer. 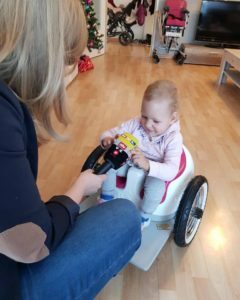 They provide the gift of mobility that every child deserves, and we love that they are being sent to children all around the world, not just here in WNY. Hope Rises is all about spreading hope and giving back, and while this cause is well known for some, it’s still fairly new and under the radar. I wanted to bring some exposure to this non-profit and it was fairly simple to team up with the very generous folks of Flying Bison Brewing Company to get a Celebrity Bartending event going. I know lots of local celebrities and thought it would be a fun, mid-winter event – to get people out for a drink in a fun happy hour atmosphere. Plus, who wouldn’t want to have a drink personally served by Sabres great, Matt Barnaby?? Please stop by and support this incredible cause and have a great time! WHEN: Feb. 22 – 5-8 p.m.
Bella’s Bumbas: Still Going Strong, Helping Children Around the Country and World!